Today we’d like to show you Rebelle closer and present the most interesting features of this upcoming watercolor and acrylic painting tool. No matter if you are a traditional artist or digital art geek, we believe that Rebelle has something to offer to everyone. The insane mathematics and physics running behind was created by Peter Blaškovič with a great help of Michal Fapšo. 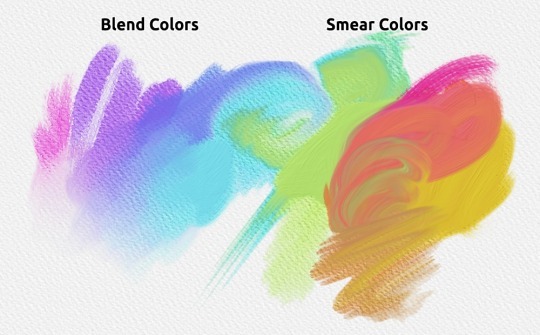 Rebelle’s watercolor simulation is based on real-world color mixing, blending, moistening and drying. It has been in development with interruptions for couple of years and today we‘ve got the most realistic outcome possible on digital media. It would not be possible to use this technology widespread couple of years ago. From the first run of Rebelle you will practically know how to use it right away with its tiny learning curve. We want to keep it as simple as possible with all powerful tools every artist needs. We don’t want to have hundreds of buttons and sliders to set before you start painting, because when you paint on a real canvas, you just wet your brush, load the color and paint. Rebelle was born not to substitute the traditional painting, but to give artists the tools, that are not possible in a real world, in the most natural way. Artists usually don’t use a lot of tools and hundreds of brushes, so we cleared the user interface and focused on the most important tools artists use. Brush Tool – It’s the basic tool every paint application has. In Rebelle you can choose brushes with different bristles, select size, add the water and set amount of color loaded to brush so the paint could be thicker. Adding Water to painting is another technique transposed from the world of traditional painters. With more water, the color will spread faster on the layer and wet colors are mixed. You can use different watercolor techniques to get various effects. 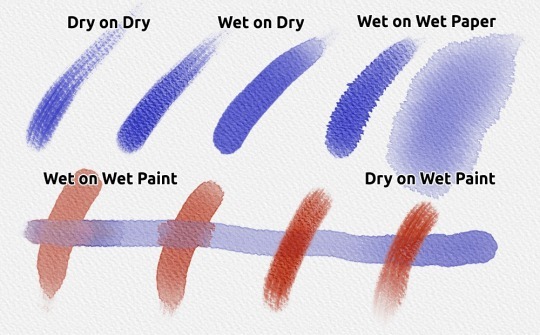 Water & Dry Brushes – Simple brushes to add and remove the water from the painting. How the painting is blended and dried depends on the water and the wetness of the paper underneath it – just like in the real world. 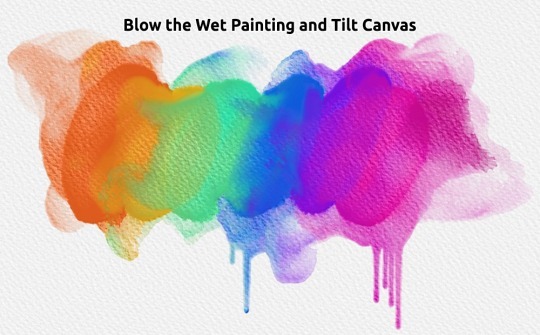 Blow – Useful tool for all watercolorists enables you to blow the colors on the painting. Rebelle simulates flowing water and this way you can get beautiful watercolor outcomes. Eraser – Another basic tool, which has different optional settings: erase with low pressure and you’ll create slight scrapes on the painting. Use higher pressure to erase the painting completely. Smear – This tool will smear the wet and dry parts of the painting. When you press more, it smears and even scratches the painting. Blend – Simple but very practical tool, which blends the water and colors together. Color Picker – Pick a selected color from the layer. With a unique Mix mode you can mix colors together without having too much colors on your palette. Simple, but very efficient tool. The best Rebelle experience is with Wacom tablet and pressure pen. We’ve set accurate pressure sensitivity but you can change it anytime directly from the Tools panel. There are many more features available in Rebelle – you can tilt the canvas to get water drops, wet already dried painting and let it flow on the paper, or wet the whole paper to let the colors spread on it. You can choose from many beautiful paper textures, use infinite number of layers and mix them with different blend modes. We are planning to add more unique features continuously and believe Rebelle will be your creative tool of choice. Don’t forget to view some of the spectacular artworks on Rebelle’s website too.